So we all know it has been very popular for women to wear men's Rolex watches for the last decade and even longer. It is interesting that as the size of Rolex men's watches get larger to see women wearing them as well. In this next set of photos we see Academy Award winning actress Charlize Theron at a recent L.A. Laker's game sporting her Rolex DEEP-SEA. Congratulations to the L.A. Laker's who recently won the NBA Championship. 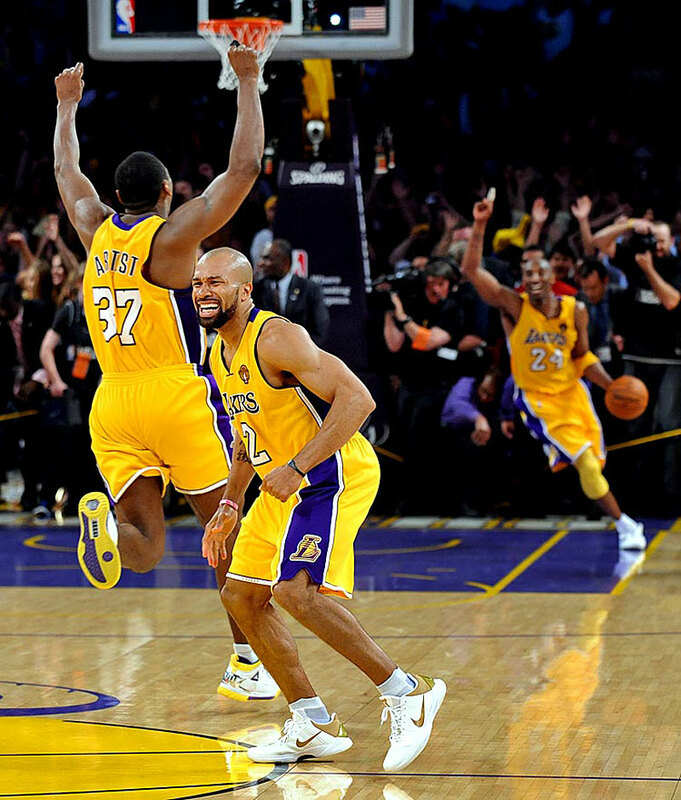 I really like this L.A. Times photo showing Kobe Bryant as the Laker's won the championship on June 17, 2010.